Designed with the long range tactical shooter in mind, Uncle Mike's Long Range Tactical Bag is designed to protect your rifle during transport, but also converts into a comfortable shooting mat. With its overall length of 50", it is large enough to carry almost any long gun equipped with a scope and bi-pod. Designed with the long range tactical shooter in mind, Uncle Mike&apos;s Long Range Tactical Bag is designed to protect your rifle during transport, but also converts into a comfortable shooting mat. With its overall length of 50", it is large enough to carry almost any long gun equipped with a scope and bi-pod. 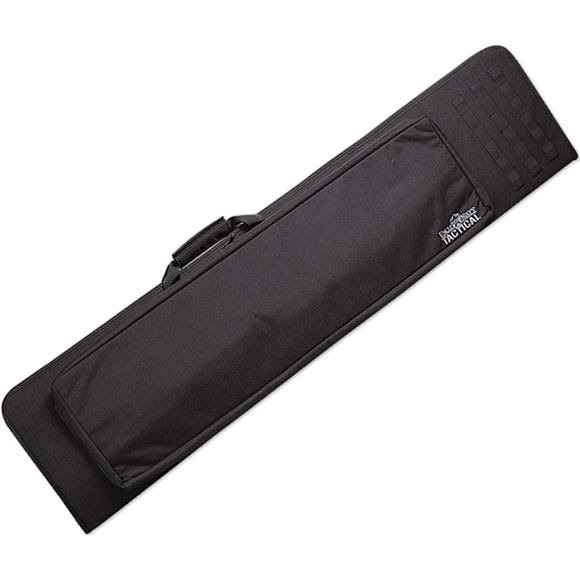 The 78" flip-out shooting mat includes a front load strap that allows shooters to establish a rock-solid rest by loading the bipod when shooting prone.